Working on some rock castings. Found out the hard way that the molded plaster and the hand-applied plaster absorb the stain differently. Looks like I'm going to have to paint the first layer and then work from there. I've also been working on some trees in the evening. Still just at the beginning stages. 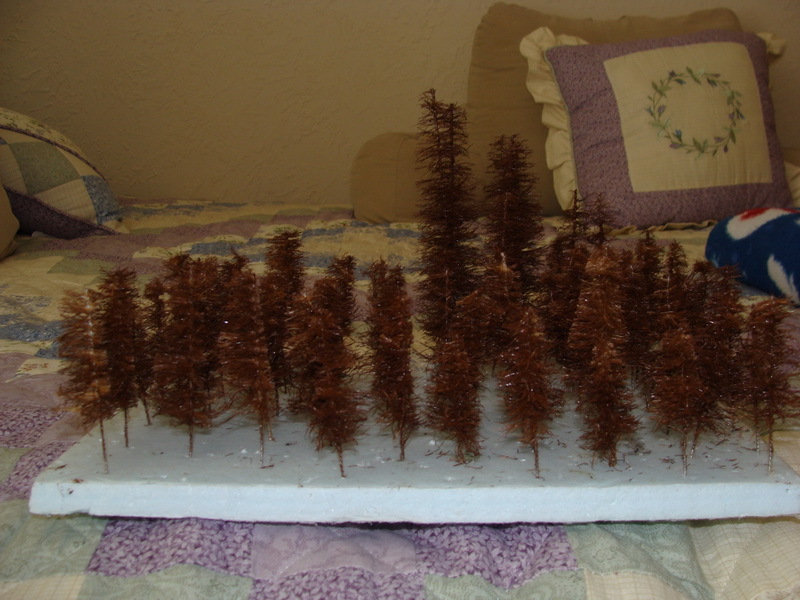 I will spray paint the whole bunch at one time, trim them down, and then apply the "leaves". Still working on this canyon. 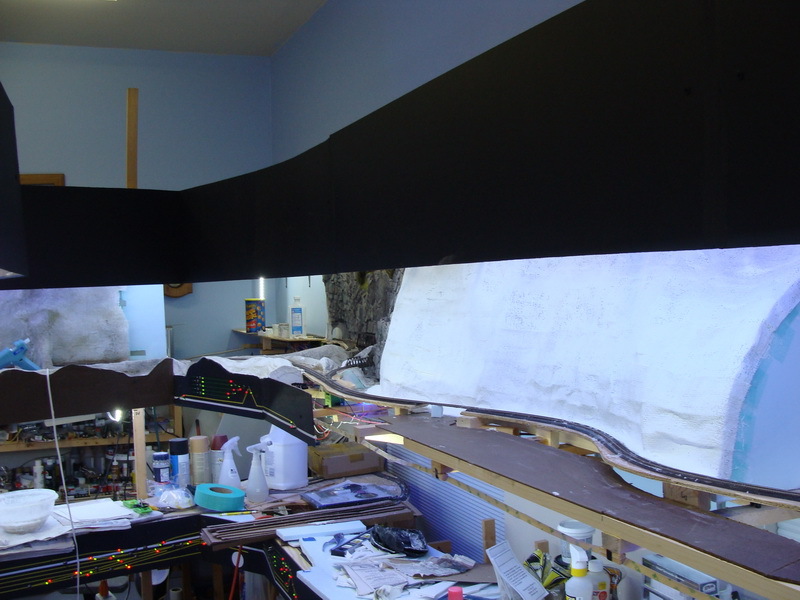 I got out the air brush and spayed on several different light layers of acrylic paint. This covered the staining issues and resulted in a rather nice color variation. 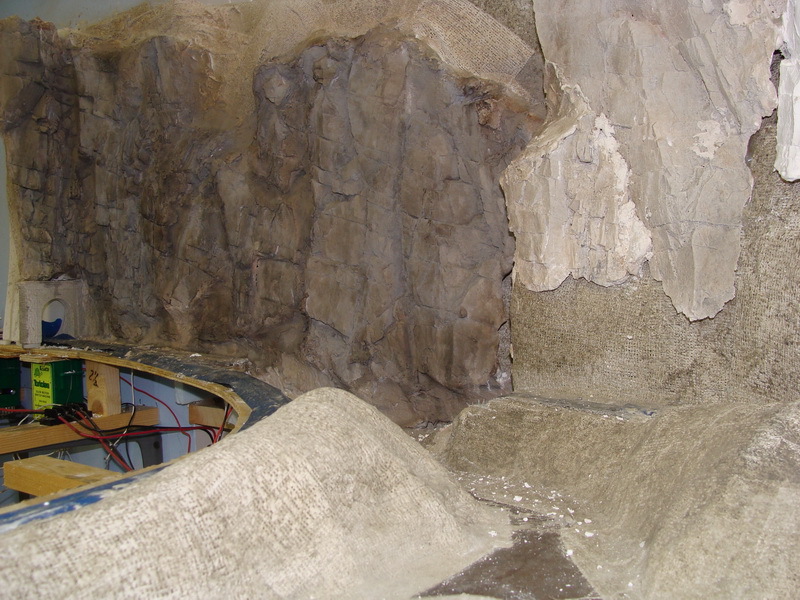 I have started mounting rock castings on the next section (just visible to the right in the photo). I still have several more castings to make/mount. Then blending them together. Then back to the sprayed on paint (which seems to work much better than staining). I also got the trees sprayed and trimmed down. 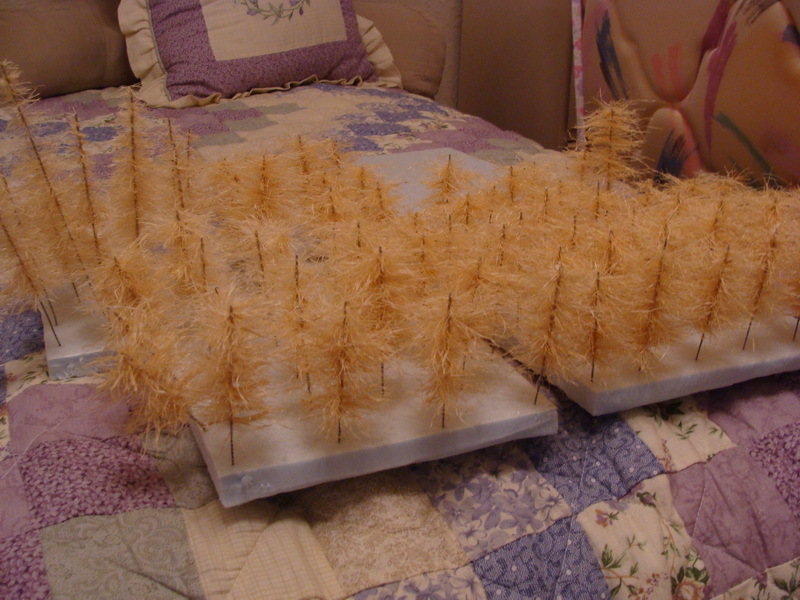 Now I need to add the ground foam leaves and they are ready to plant. Still working on this canyon. 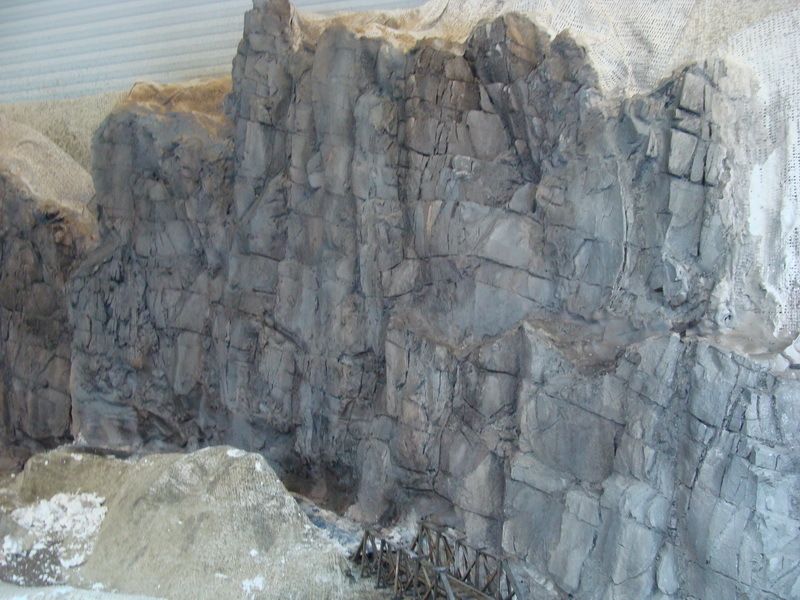 The 2nd rock wall is in and the things are starting to take shape. Here is a shot taken looking down the canyon. The 2nd bridge is still set off to the side. 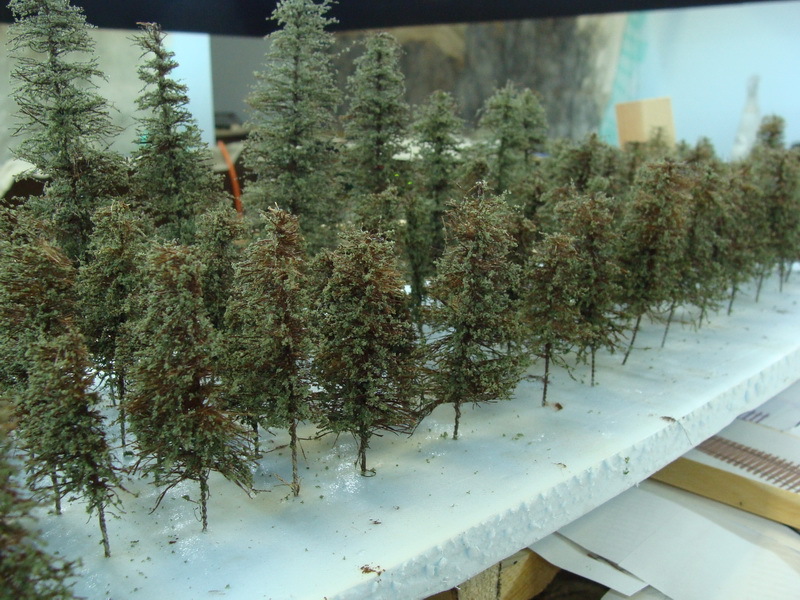 The trees are starting to take shape as well. They have their "leaves" applied and all I need to do now is add some "trunks". Then they will be ready to plant. 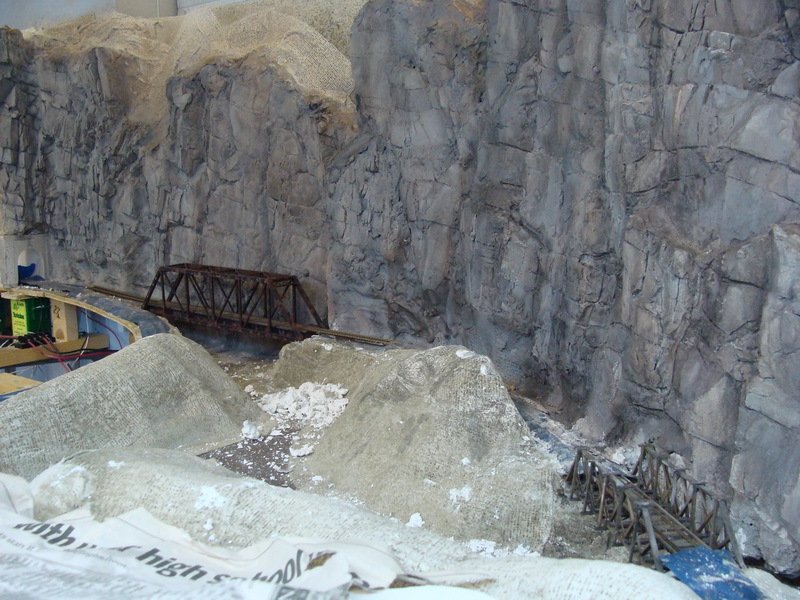 I haven't had any time to work on the train this week, but I temporarily placed the 2nd bridge in place just to see how the scene was taking shape. I haven't had much time to work on anything for the last month. I did manage to plant a few trees, but not much else. So today, I had an urge to just run trains. Here is are two short videos of a train running through the canyon. Sorry for the poor quality. I haven't gotten much done in the last 3 months! But I did recently start on a kitbashed factory. I'm starting with a Bergen National Sugar Beet Refinery Building #2 kit. 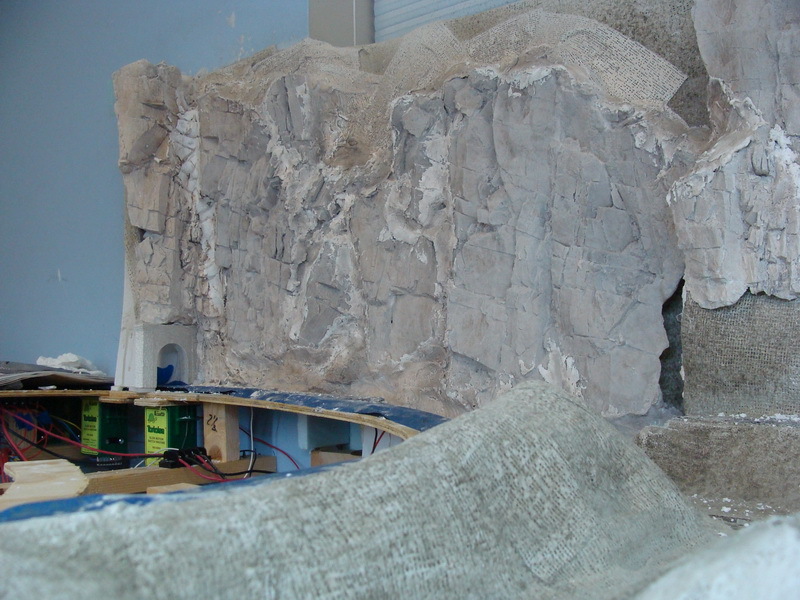 I'm slicing the model in half and laying out the front and back side-by-side. I'm plugging up some of the 1st floor windows and I am replacing the remaining 1st floor windows with freight doors. Here it is barely started. 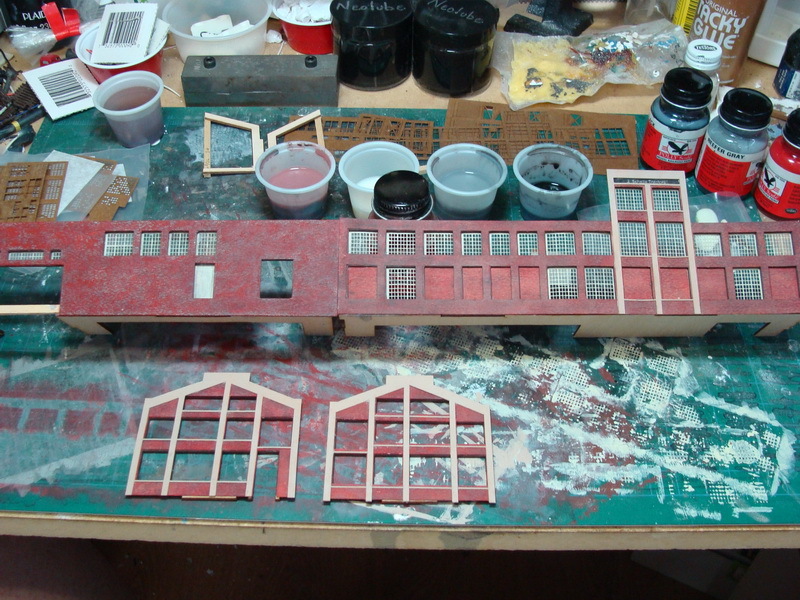 I have a lot of work to go and a lot of interior detail to create as I plan to have most of the freight doors be open. 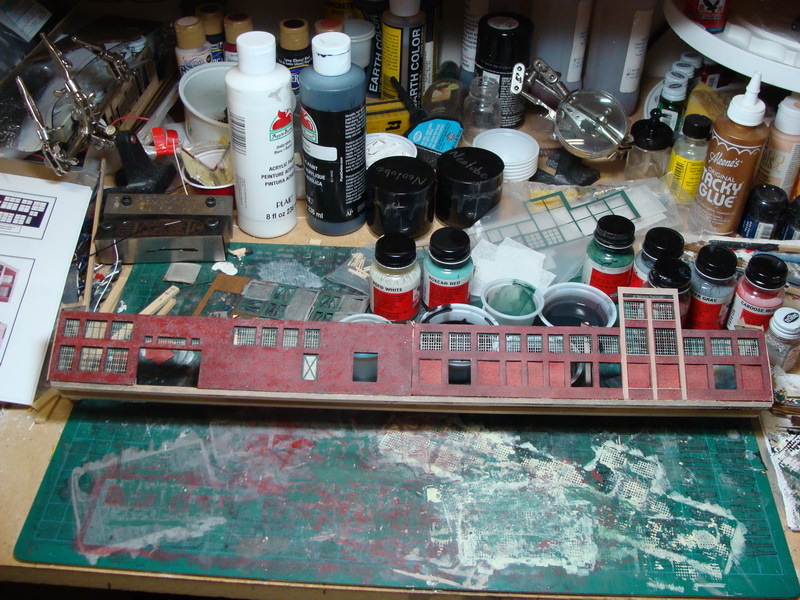 Wow, it's been almost 6 months since I've had any time to work on the layout! But I did manage to get a little more done on the kitbashed factory. Although they do not show in the photo very well, I have added loading dock floors behind all the open doors and I have added the end walls and interior bracing. Unfortunately I did not include enough bracing on the 1st go round which required multiple attempts to remove the warping. I think I finally got it "mostly" flat again now. 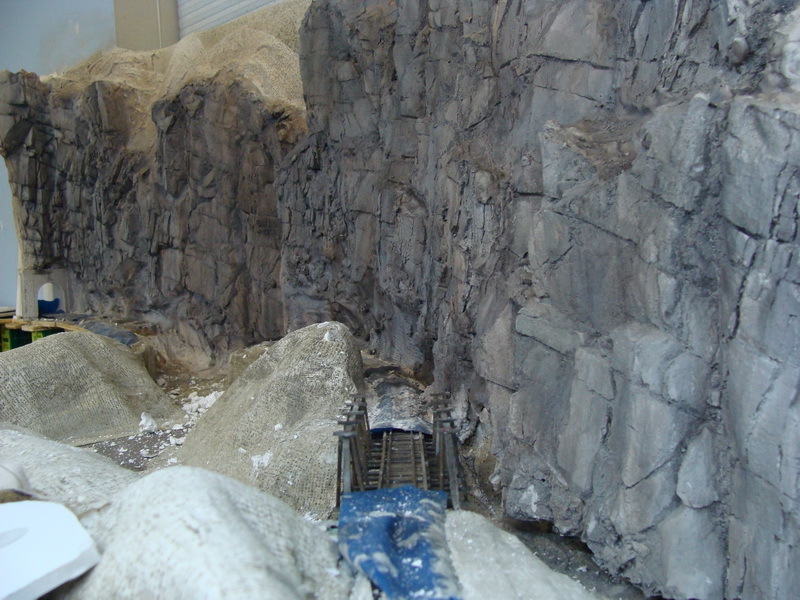 I also managed to rough in the next 4 feet of mountains on the upper level.